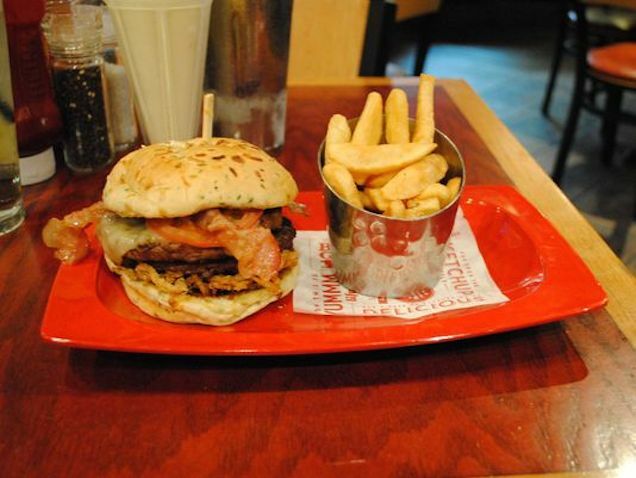 Red Robin is home to the unhealthiest meal in America, according to USA Today. In a report released by the Center for Science in the Public Interest, the "Monster" double burger, "bottomless" fries and a "Monster" milkshake clocks in at 3,450 calories. Also on the list were offerings from The Cheesecake Factory, including a "Brulee French Toast," which sounds delicious, but also terrifying. Red Robin's chief marketing officer Denny Marie Post notes that the meal in question "combines some of our most indulgent items into one meal." 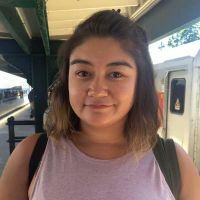 She counters that if you wanted to order something a little lighter, "a lettuce-wrapped turkey burger, sans cheese and bun, with a side of broccoli and a light lemonade" would only run you about 540 calories—a relatively light snack for a restaurant that offers a burger that includes a patty and brisket. If you choose to view this report as a challenge, you should be aware of the work you'd have to do to offset the caloric damage: According to the study, 12 hours of brisk walking would eliminate the Red Robin meal, while just seven hours of lap-swimming would take care of the French Toast.